Dr Luke Cronin is a leading Invisalign Sydney provider and Clinical Speaker for Invisalign Australia. Dr Cronin holds the top Invisalign ranking as a Diamond Invisalign Provider, and is featured regularly for Invisalign and cosmetic dentistry in Harper’s Bazaar, Elle magazine, Marie-Claire and Cosmopolitan. If you have ever thought about having straighter teeth then complete the contact form to organise a free consultation with Dr Cronin to discuss your options further. Dr Luke Cronin and the Invisalign team in Sydney look forward to meeting you soon. No deposit, 12 month interest free payment plans are available to start your Invisalign journey sooner. The Invisalign system provides a highly effective and predictable treatment to straighten teeth that is personally designed by Dr Luke Cronin to meet your individual treatment needs. And it’s virtually invisible. Invisalign uses clear and removable aligners to gently move your teeth and bite into the correct position. It’s a treatment system that works with your lifestyle, so you don’t have to stop enjoying life. What most people don’t know about Invisalign is that the dentist treating you will individually design your smile using cutting edge computer modelling. It requires extensive training and experience to develop expertise that can correct your aesthetic issues, and beautifully position your teeth and bite to create the smile you want. Dr Cronin is one of Australia’s top Invisalign providers, a Diamond Provider. This means he has successfully completed hundreds of Invisalign cases, gaining vital experience and working knowledge that training alone can’t provide. Dr Cronin is passionate about the outcomes he can achieve for his patients with Invisalign. His desire to continually develop his expertise, learning the latest techniques to treat simple through to the most complicated cases, has led him to complete Invisalign training overseas with some of the world’s top Invisalign experts. Invisalign has selected Dr Cronin to be a Key Opinion Leader for Invisalign in 2015 and 2016. At Quality Dental your Invisalign journey begins with your initial consultation appointment. You will learn how Invisalign can work for you, treatment options, treatment length and cost. We will take digital impressions of your teeth using an optical scanner, doing away with messy and uncomfortable plaster impressions. These scans are used to generate 3D images of your teeth that bring your ideal smile to life, showing your smile at the completion of your Invisalign treatment. You will also see how Dr Cronin will move your teeth and bite during each stage of your Invisalign treatment. It is fascinating to watch how your teeth are gently moved into position to create a more even, symmetrical smile with beautiful straight teeth. Invisalign uses Dr Cronin’s design and 3D images to create a series of clear plastic aligners custom-made to fit your teeth. Each custom-made aligner is worn for approximately 2 weeks and then replaced by the next in the series of aligners. Your ‘invisible braces’ are designed for different stages of the straightening process – with each subsequent aligner gently moving your teeth closer towards the desired position. Treatment generally takes between 6 to 15 months to complete depending on the complexity of your case, and the number of hours you wear the aligners each day. To ensure you follow your Invisalign treatment plan and optimise your treatment results you should wear your aligners for at least 22 hours every day. Ideally only taking them out to eat, drink (with the exception of water) and to clean them. Unlike metal braces, Invisalign straightens your teeth without the pain commonly associated with wearing wires and brackets. While it is possible for you to experience temporary and mild discomfort during the first few days of wearing each new aligner, the initial pressure will disappear as your teeth adjust to their new position. To date over 4 million patients have successfully received Invisalign treatments and the number of Invisalign patients continues to grow worldwide. Invisalign is the superior cosmetic treatment solution available today. It is a proven treatment system that successfully corrects a range of cosmetic and orthodontic issues. The clear aligners can be used treat cases ranging from malaligned teeth to serious malocclusions (bite alignment). If you have crooked teeth, an overbite, underbite or crossbite Invisalign could be the easiest and most effective solution for you. Here are some explanations of the different cases Invisalign can treat. We recommend that you book a free Invisalign Consultation with Quality Dental to find out how Invisalign can help correct your individual issues. An overbite, or overjet, is when the upper teeth protrude past the bottom teeth. This creates a gap between the top teeth and bottom teeth when you bite down. There are a number of reasons an overbite can develop, but none of which you can control. The good news is that an overbite can be treated with Invisalign, providing a less invasive and shorter treatment time than traditional braces. An underbite occurs when the bottom set of teeth protrude past the top set when you bite your teeth together. Children can grow out of an overbite with their jaw position naturally correcting as they develop. For adults an overbite can only be corrected with treatment. The Invisalign system can treat an underbite by slowly moving the position of the teeth and the bite. A crossbite refers to a bite where the teeth that are meant to be on the outside are on the inside. Occasionally a crossbite may be considered a cosmetic concern, but it is primarily an oral health issue that should be corrected as it can led to ongoing oral health problems. Your teeth and bite will be thoroughly examined and assessed as part of your free Invisalign consultation. A mouth that is overcrowded means there is insufficient space for the number of teeth in the top and/or bottom jaw. Overcrowding may be due to the size of the patient’s mouth, the teeth, or the position of the larger back teeth (molars, seond molars and wisdom teeth). Crowding of the teeth often causes crooked teeth or overlapping. Invisalign can successfully correct overcrowding but it is usually not as straightforward as a patient may think. Unevenly spaced teeth is a common problem that can be corrected using the Invisalign system. The Invisalign technology has the ability to close spaces or create spaces with the aligners; to provide a more even and pleasing alignment of the teeth and create harmony between the upper and lower teeth. 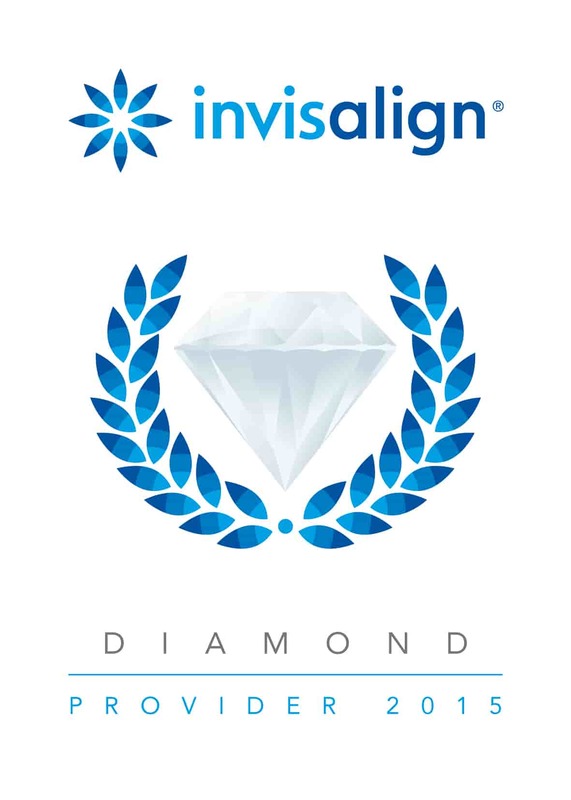 Australia’s Invisalign Diamond Provider Quality Dental has the right training, expertise and experience to successfully treat a wide variety of cases. Call us on (02) 9922 1159 to talk about your concerns with our client management team and find out how Invisalign can work for you. Or simply complete the contact form to organise your Invisalign Consultation with Dr Luke Cronin. No deposit, 12 month interest free payment plans are available to start your Invisalign journey sooner.